Well maybe you do, but I usually do not. Chocolate, cookies, brownies, cake: count me in! 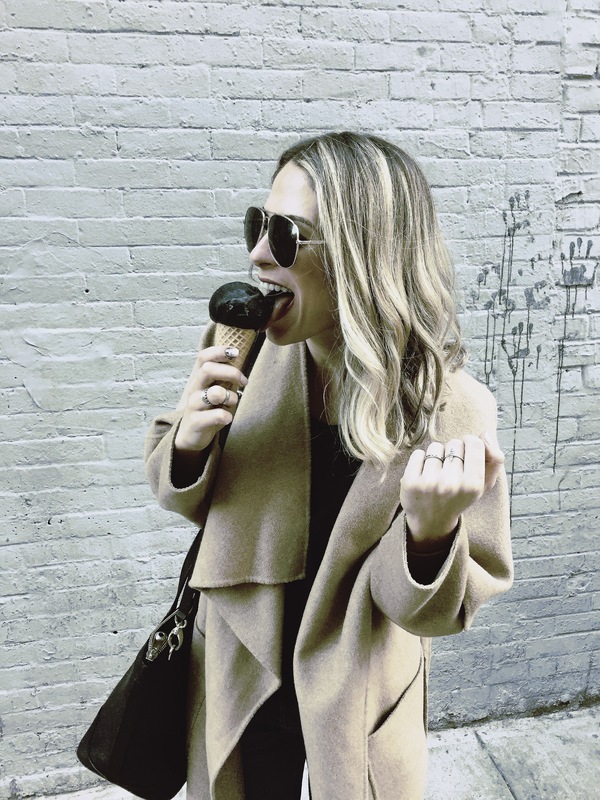 Ice cream’s simply just the one sweet treat I’ve never been able to completely indulge in. 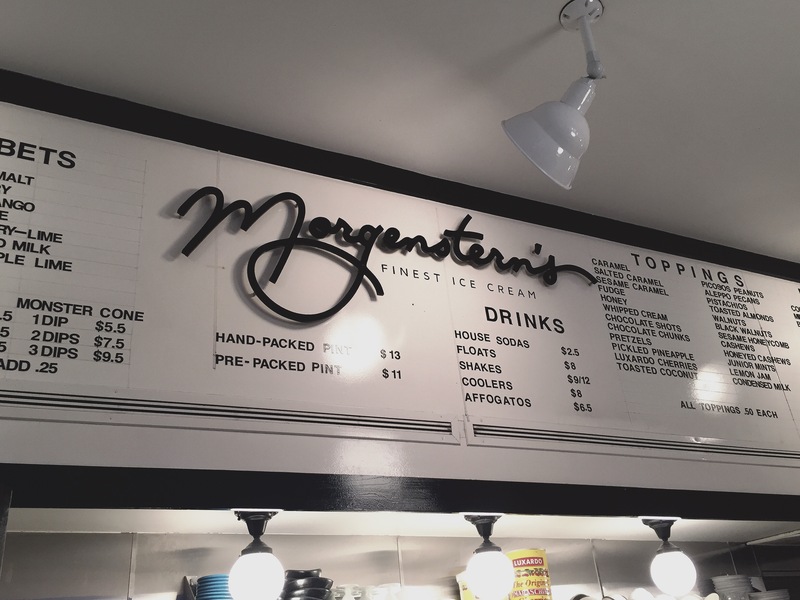 That being said, I’m always down to give it a try– especially if it looks like this cone from Morgenstern’s Finest Ice Cream! 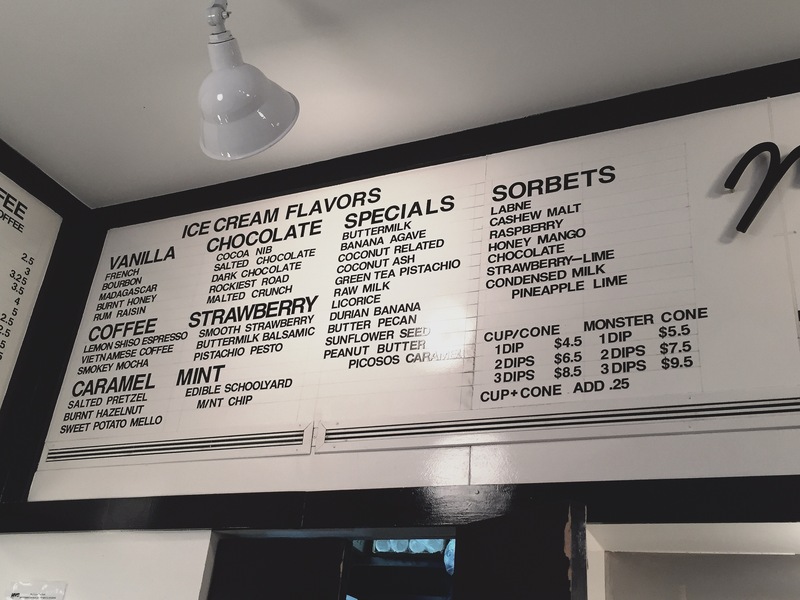 This little Lower East Side ice cream joint has all the feels of an old school ice cream parlor, but with a modern twist! 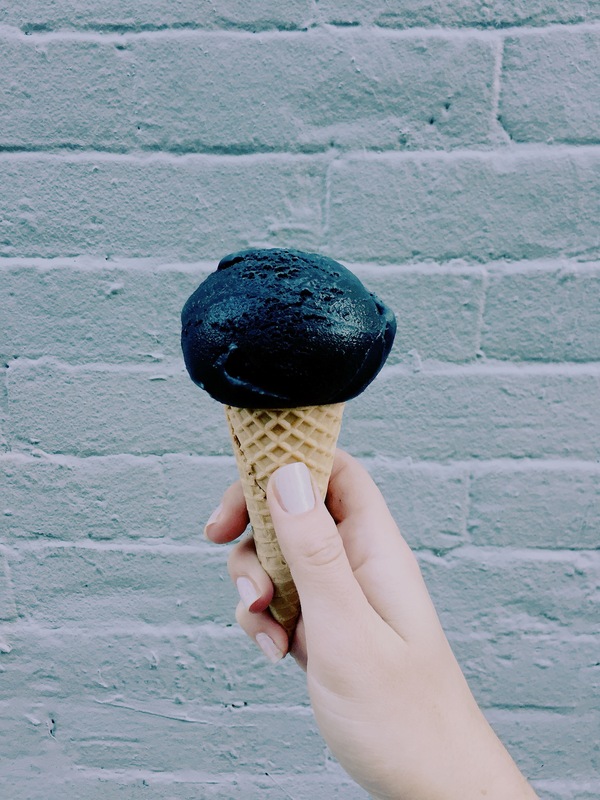 It has tons of unconventional flavors and this black cone is the “coconut ash”. 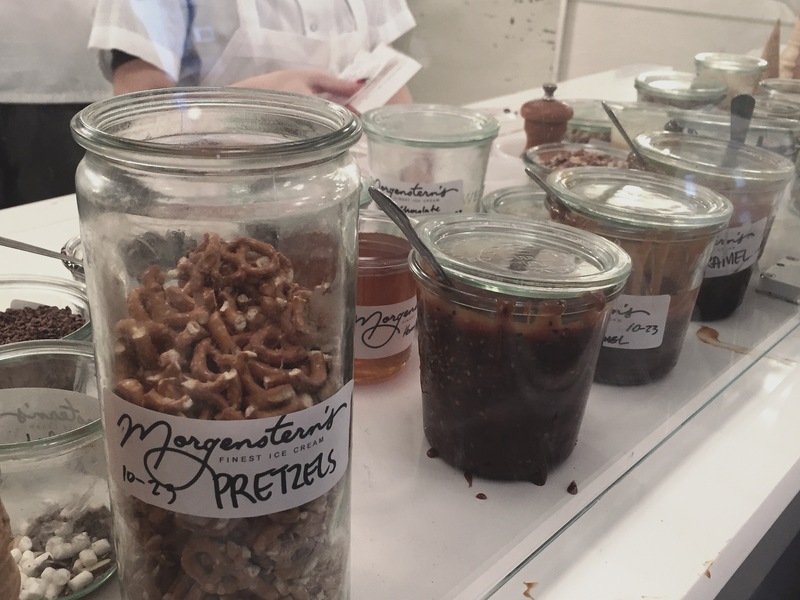 With flavors like this, Morgenstern’s may be able to turn me into a believer. It was as delicious as it was pleasing to the eye! Despite the name, it didn’t taste like coconut at all to me. It pretty much tasted like a sweet vanilla. What I liked most was how soft it was! 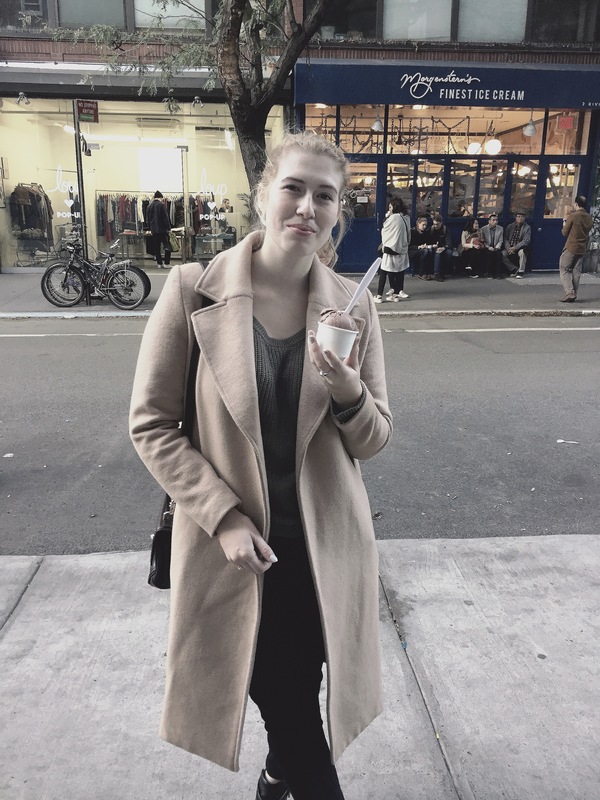 It was nice and fluffy, rather than being a solid cold mass. Devin got the “rockiest road” and if you look closely at the pictures, you’ll see one that has a tub of chocolate ice cream with all the add ons laying on top. That’s because they literally take the tub of chocolate ice cream, layer it with the toppings and syrup, then scoop it up into the cone. It smoothly wraps up all the sweet bits directly into the ice cream so you never run out! Genius, right?! 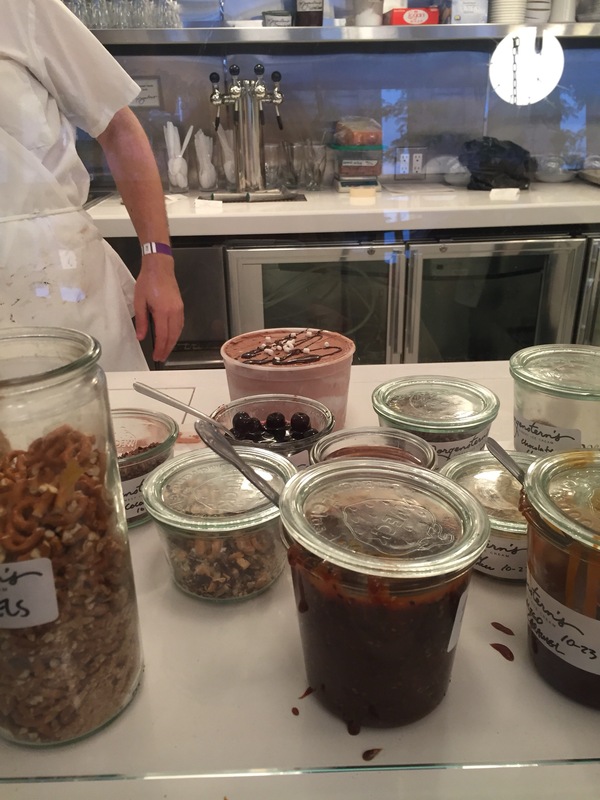 I definitely suggest checking out this sweet spot if you’re ever in the LES. You may have to wait (we had about a 15 minute wait) but it’s worth it! It was!! 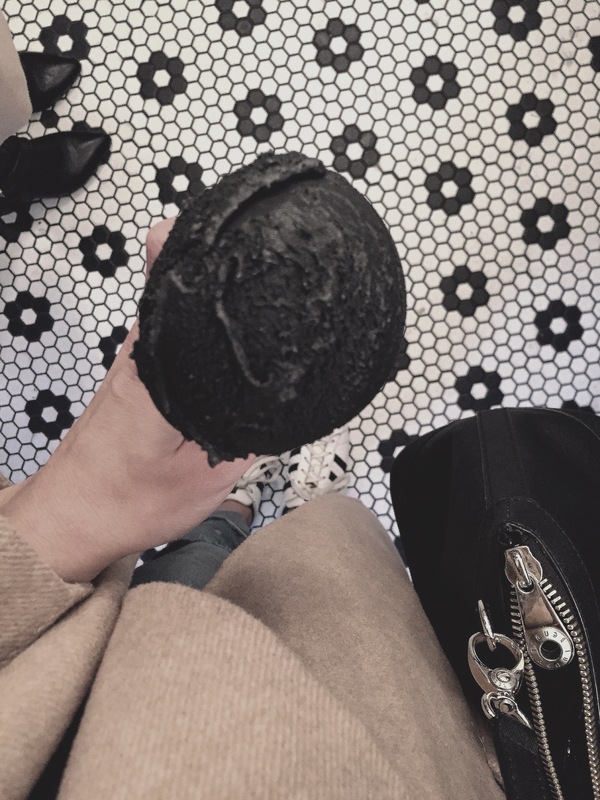 And I hadn’t either so despite wanting to try some of the other flavors I knew I had to go for the coconut ash!! It was so good! 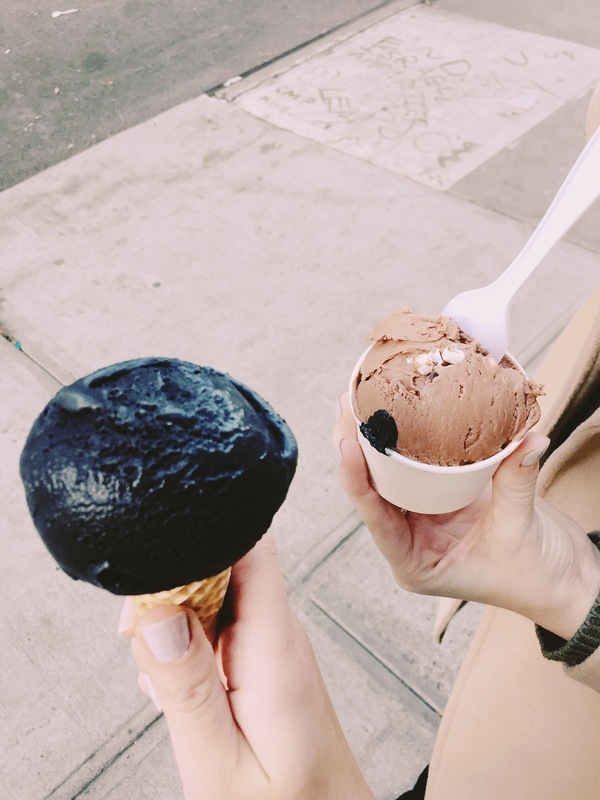 If you like ice cream, you’d love it! And it’s from Zara! It’s one of my favorites! Glad you think so! It was super funky! Tasted so good. You should definitely check it out! They have tons of really funky flavors. It’s also just an adorable place!